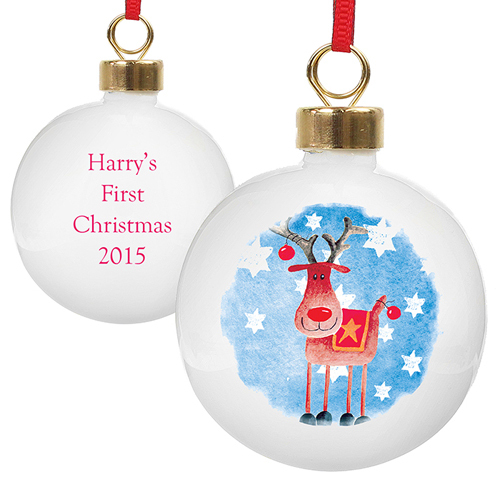 A festive bauble with Rudolph on the front. A lovely Christmas tree bauble that can be personalised with any message on the reverse, up to 4 lines, 20 characters per line. Personalise with any message on the reverse, up to 4 lines, 20 characters per line.